Rapid urbanisation is creating the need to build real estate projects faster and in a more efficient manner all across the globe. The demand in the UAE is no different. As its population grows, there is a shift in the real estate industry towards modular construction methods. “The need for speed and scalability is driving the demand for modular construction methods that do not compromise quality and need lower manpower resources,” says Chebel Bsaibes, chairman of Amana Group and founder of DuBox. “In the UAE and neighbouring countries, there is a massive need for housing units in short delivery time.” Winner in the Business Innovation category at the 2019 Mohammad Bin Rashid Al Maktoum (MRM) Business Award, DuBox designs and delivers single or multistorey concrete buildings, using modular methodologies. 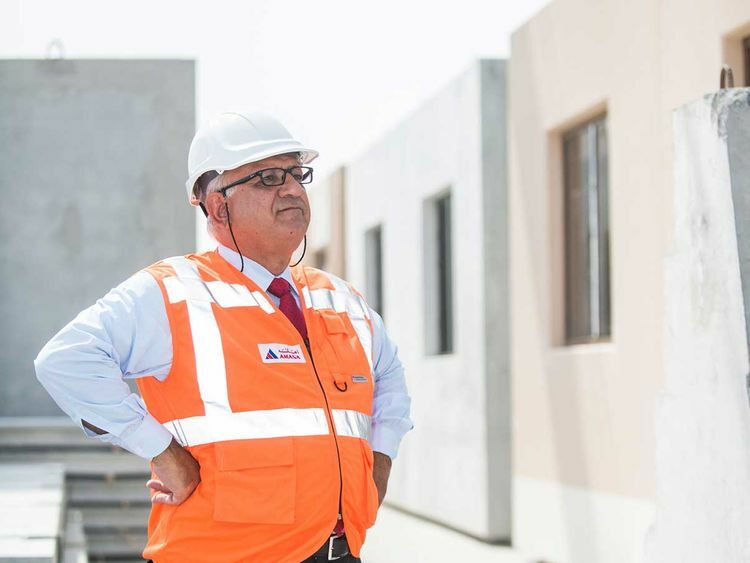 It shifts 85 per cent of the construction activities off-site and is the first company in the Middle East and North Africa to apply off-site modular manufacturing methods to concrete construction projects. In an interview, Bsaibes tells Property Weekly how the whole process works. How does modular design and off-site concrete construction help? Modular design is a construction methodology by which the building is subdivided into smaller units called modules. Each module is designed and fully manufactured off-site in a factory; modules in various stages of completion will form a production line by which each module will progress from assembly up to complete fit-out. Finished modules will be shipped to the site and joined together at the site, in a Lego look-alike process to form the complete building. To shrink the project delivery timeline, activities are performed in parallel. The building modules of all floors are simultaneously manufactured off-site in a controlled factory environment. The site infrastructure activities are constructed in parallel. This protocol shrinks the project delivery timeline. Globally, off-site, light-weight modular manufacturing has been active for the last two decades, by utilising steel framing and hollow wall construction. DuBox introduced precast concrete panels to replace steel framing places, which is a 100 per cent UAE innovation. The factory process will often involve people specialising in one specific area to a very high standard, leading to a better quality of product. What type of project is right for this method? Concrete modular off-site manufacturing and construction project delivery system is adaptable to any project, be it residential, commercial, educational or health care. However, complex shapes, round and curved structural surfaces are not favoured. What projects have you done or are currently developing? Presently, DuBox has Dh1 billion worth of projects executed. Al Wasl Gate, a 257-villa project, is the latest of a series of projects that DuBox designed in modular and manufactured off-site. What are the benefits of building off-site? By shifting 85 per cent of construction activities from the site and bringing it into the factory, we have faster finished products, hence reduced project duration. There is a 30 per cent reduction in construction manhours due to improved productivity. Modules also have a higher life expectancy (50 years) than conventional construction (20 years).